Chalk it up to the long tail end of summer and a lot of bored people at understaffed offices on Hump Day- but one of the bigger stories relating to YouTube this afternoon and evening had to do with a briefly available, full-length commercial-free version of Francis Ford Coppola’s epic Mafia masterpiece The Godfather on the service. Sweet, right? Alas, as you can imagine, it was as it looked- too good to be true. 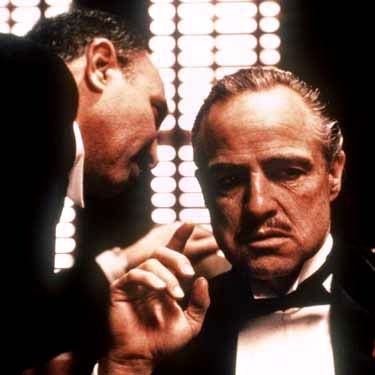 A few viewers were able to stream the cinematic classic as the word spread on blogs and social networks that The Godfather was up on the streaming site for reasons unknown at the time- surely this was a massive violation of like, every licensing law ever in the history of copyright statutes? Could such an offering, especially of a major film property be legal by any stretch of the imagination? No word on who added the clip, or whether there was any larger motive behind the move. BREAKING NEWS: Copyrighted content uploaded to YouTube, subsequently taken down. LATER: Graffiti erased from public building. The inside scoop at 7.